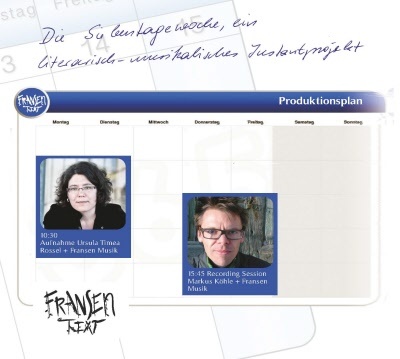 In 2014, Fransen Musikʼs debut „Mittwoch“ was released by ATS Records (CD-0832). results in a bunch of 14 tracks of words and music. Wolpertinger“ (incl. Drawings by Sabine Freitag), Sonderzahl Verlag. with the texts into a „lexicotone“ ensemble, potentially headed by a qoute out of G.K.